Anyone who previously whined about lack of horsepower will be silenced. The #8 I tested could easily have been over-lined with a 9-weight line, although I always discourage anyone from doing so. The HD will conquer even high winds. Power/distance questions settled. The HD really shines when a little finesse is required. 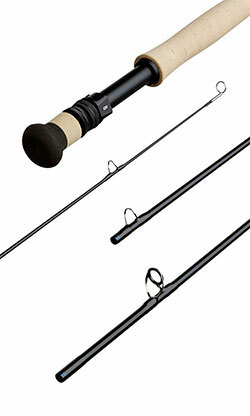 It tracks better than any other saltwater fly rod I’ve tested in the last 3 or 4 years. I hate to write this, because it’s a true rarity, but the Sage SALT HD will improve your casts, and it’s due to Sage’s proprietary Konnetic HD magic, which really limits lateral/overall wobble. It’s often hard to make precise casts in salt water environments: this rod will, very technically, help with that. I don’t think that I’ve ever thought of any fly rod as a permit rod, but if you’re looking for such an implement, this is it. Highly recommended. Fit, finish, hardware and cosmetics are all top-tier, and covered on the manufacturer’s site. I like a little stretch in my fly line because it helps protect ultralight leaders and tippet. Salt water terminal tackle typically bottoms out at 8lbs, so tippet protection isn’t an overriding issue. RIO keyed in on this fact and proceeded with the next logical step to their bonefish line development by adding DirectCore. Bonefish are crafty, and their takes can and often are subtle, so that greatly reduced stretch in the new Bonefish DirectCore lines will easily amount to a higher number of detected takes. Another DirectCore advantage is that you get an improved feel of your fly while it’s being stripped, or twitched – fast or slow. RIO built this line with a long head and rear taper for maximum casting versatility and a mid-length front taper to produce good turnover and efficient presentation of typical bonefish flies. The end product is a well balanced, wind-cheating, low-stretch tropical line. Stalking bonefish means scouting for every possible advantage to make your day a success, and RIO’s DirectCore bonefish line delivers these two notable advantages. Let’s get the obvious right out of the way: the Umpqua HD (Heavy Duty) fly box is heavy. More precisely: 430 grams or 15 ounces (almost one pound). Strike one for heavy accessories. Silicone rubber is the reason for this weight. Many box makers are now using the material because it retains its shape much better and longer than even the best quality foams. That shape retention equals more secure flies. Also on the plus side: see-through polycarbonate lids. I dropped the box on a tile floor, twice, from a height of 7 feet with zero damage. Those lids snap tight on premium quality dual rubber gaskets, so flies will remain dry. The box floats, but can withstand a submersion of up to 3 feet in depth. The box has two hinged swing leafs (like pages in a book) that will accept dries, nymphs and streamers. In addition, there are two magnetic pads that you can just drop small flies onto for quick access – or add flies to that you will organize later. This is a medium/large box, so the two swing leafs will easily accommodate 300-ish medium sized flies. I mention this because I presently use three (small, medium and large) one-sided boxes to store about 300 flies. I weighed them and they totaled 530 grams or one pound and three ounces. I disliked this box when I unpackaged it, but ended up liking it – a lot. It’s sturdy, it floats, it stays dry, it’s thoughtfully designed (the rounded corners allow you to slip it in & out of vest pockets with ease), and when fully loaded it actually saves valuable vest/pack space. Highly recommended. Overall, fly fishing gear has taken a pronounced upturn over the last few years. Rods, reels, wearables… there aren’t too many items that disappoint. Flies are another thing. I’ve been mostly disappointed with many on-line retailers, what’s worse: I’ve seen shoddy flies in fly shops. Sub-par materials, wonky proportions, at times misguided pattern designs and inferior hooks. Lots & lots of inferior hooks. It’s disheartening. I met Chet Newbold, sales manager for Fulling Mill flies at ICAST and asked him to send me a variety of boxed trout selections as well as one crab selection. The entire range boasts premium materials and clean, precise tying. Hooks fall into the same category: strong and ultra-sharp (possibly chemically sharpened). 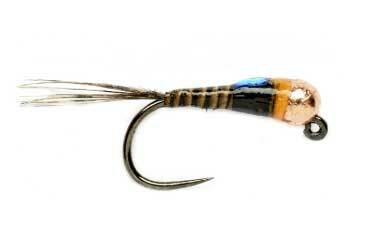 Traditional patterns abound, and new patterns, especially jig nymphs, boast very clever designs. I fished only one-third of the patterns supplied, and they all attracted attention. The crab patterns are masterful and cover the entire sinking range from type I to type IV. Fulling Mills is a categorical go-to for both fresh water and saltwater flies.